Freedom Ride! 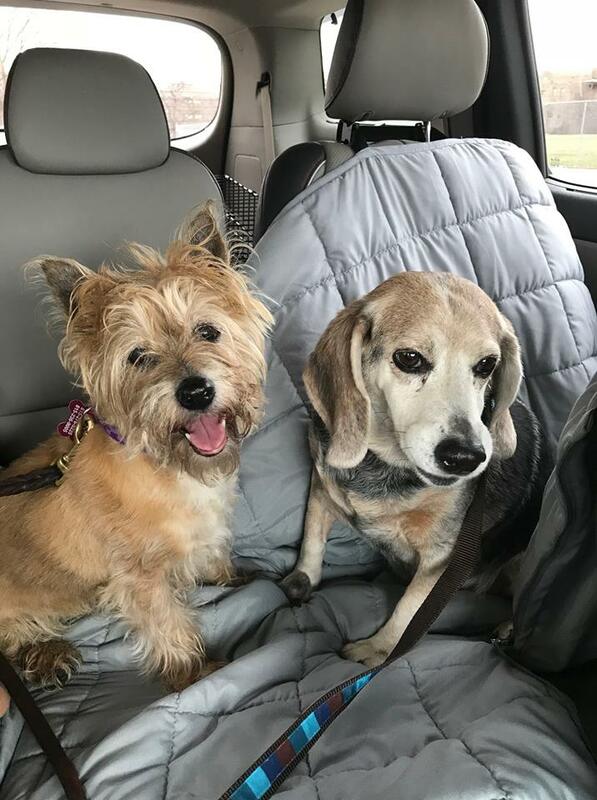 13 year old Shelby and Sassy have happily busted out of the shelter! They are on the long ride home to their foster home to settle in to their new lives. 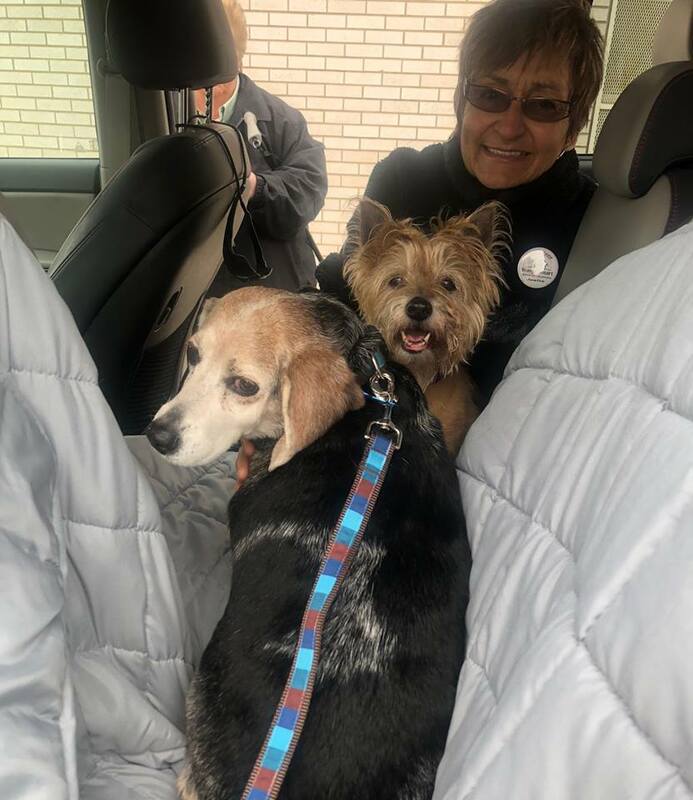 They'll get a full geriatric veterinary work up, and our beagle friend Shelby has some pretty serious lumps and bumps, but they are happy happy happy dogs to be outta that cage! We'll post more as we get to know their personalities and needs. We are so happy to welcome them to Young at Heart!